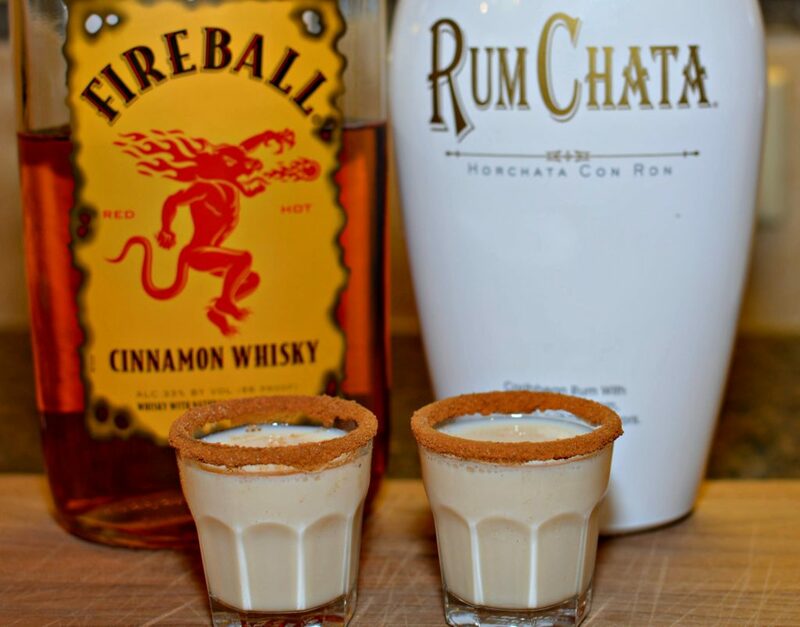 Who knew that by adding a little Rumchata with Fireball, you have a combination that is the adult version of Cinnamon Toast Crunch….in shot form! 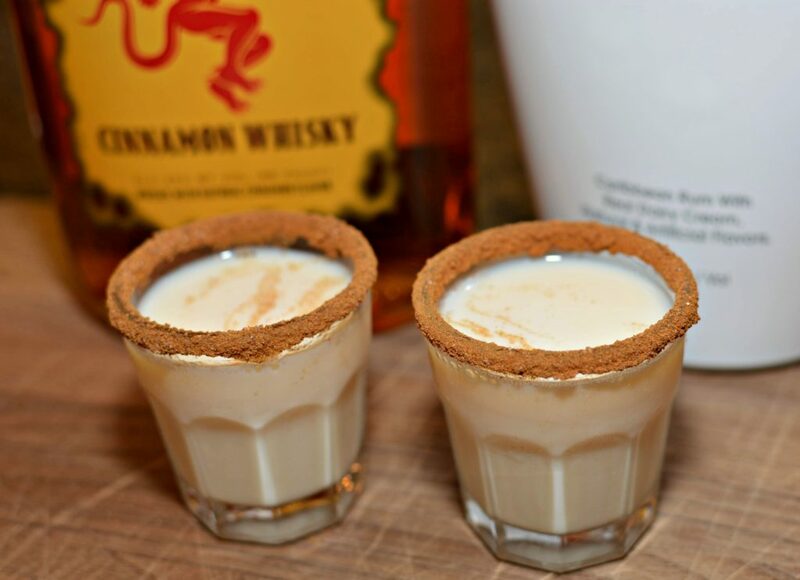 Last weekend, my hubby was browsing through Pinterest when he saw a “recipe” for these tasty shots. We recently stocked up our bar and have been trying new drinks, so he pinned it thinking we would try it later. When he mentioned it to me a few hours later, I was immediately on board for trying it that evening. We were having my parents over for burgers on the grill and what better way to have a sweet treat, than with shots, right?! LOL! We already had Fireball on hand (have you tried my Fireball Jello Shots yet?!? ), so we only had to go to the store for the Rumchata. 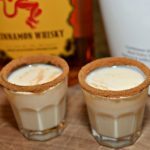 Once dinner had come and gone, my hubby grabbed the shot glasses (we use these shot glasses, https://amzn.to/2Pq1P8w,) and rimmed them with cinnamon/sugar. 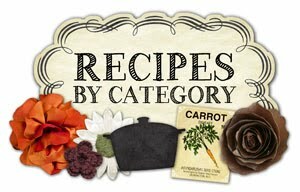 He added the ingredients over ice in the shaker (https://amzn.to/2MqJhXS) and strained into the glasses. 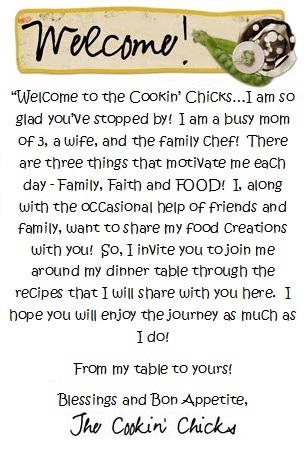 All four of us LOVED these. I preferred sipping on mine as it was too yummy to take down in one sip. Definitely a great sweet treat that I could see a hit at any party, whether enjoyed for Happy hour, after dinner, late evening, etc. Be sure to test it out and let me know what you think! If you loved Cinnamon Toast Crunch as a kid (heck, or as an adult, haha), you’ll love this drink! Creamy, just the right amount of cinnamon and sugar, and the perfect amount to sip on! 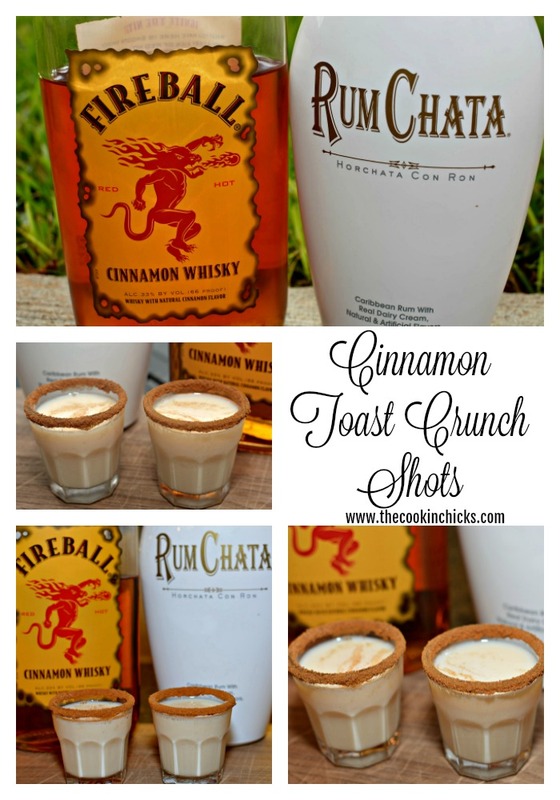 Who knew that by adding a little Rumchata with Fireball, you have a combination that is the adult version of Cinnamon Toast Crunch....in shot form! 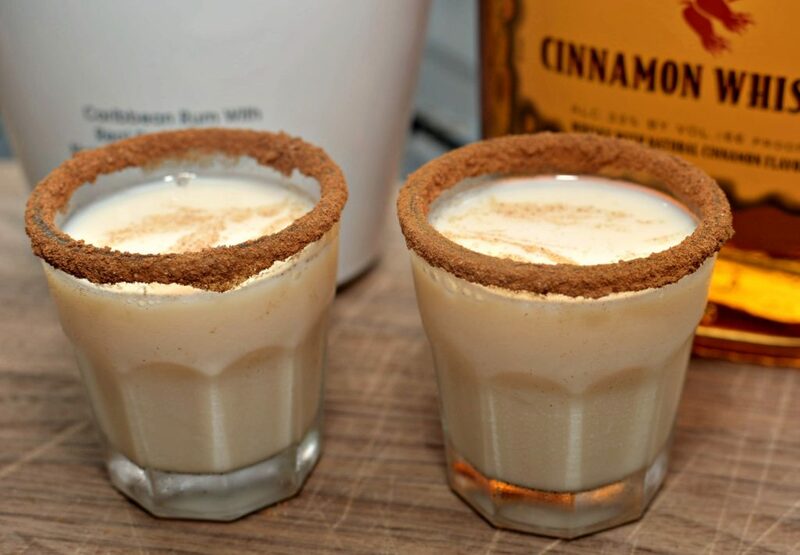 Rim 2 shot glasses with cinnamon/sugar. In a cocktail shaker, add ice. 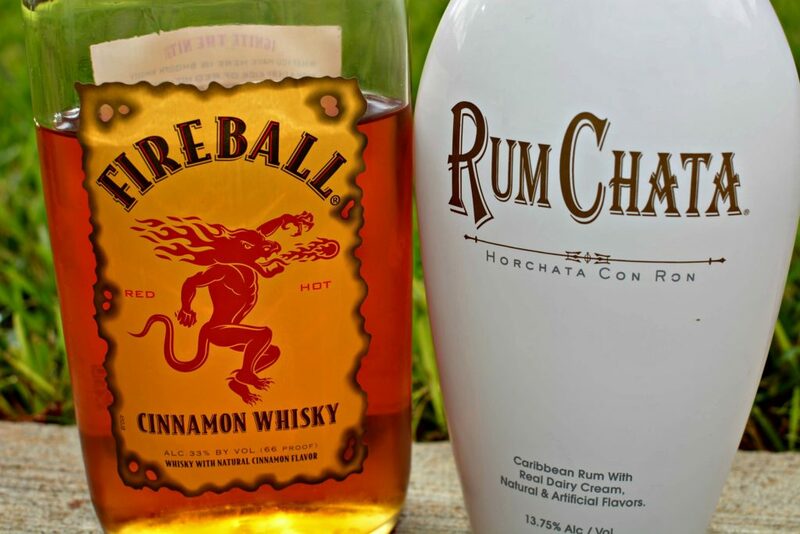 Pour in the Rum Chata and Fireball. Shake and strain into glasses.